Is there an allosaurus species as big as T-rex? If dinosauri were cold-blooded, like today's reptiles, they would have been slow o inactive in cold conditions. If dinosauri were warm-blooded, like birds and mammals today, they would have benn able to stay warm and active in cold conditions. Experts once believed that all dinosauri were cold-blooded, but today there is much disagreement. Some evidence for warm-bloodedness comes from the structure of fossil bones. 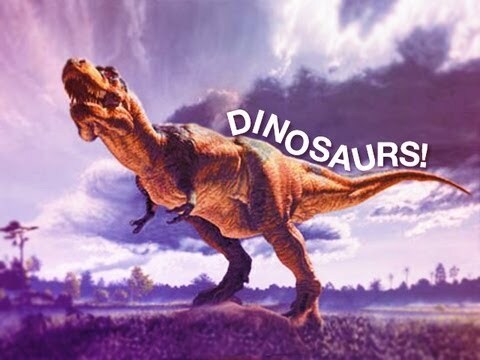 The structure of some dinosaur Bones is più like that of warm-blooded creatures than that of reptiles. an answer was added to this question: Is there an allosaurus species as big as T-rex? a comment was made to the poll: Which of these is cooler? an article è stato aggiunto: Warm o Cold-blooded? Which of these dinosauri had feathers all over its body and could glide from albero to tree? Have te ever found a fossil?